Ryan's Smashing Life: Boston's Get Help premieres tonight at Church! 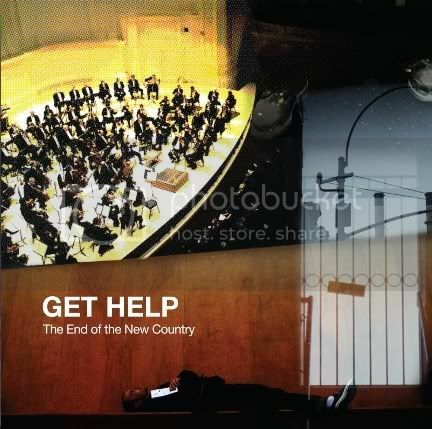 Boston's Get Help premieres tonight at Church! Keeping You In The Know - There's an evening of righteous Boston rock tonight at Church (69 Kilmarnock Street) with headliners Spanish Armada and a great lineup of rock locals (The Daily Pravda and Shadwell). 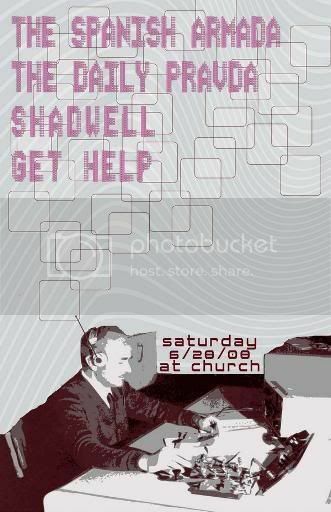 What sets this evening apart for me is the addition of Get Help - a songwriting project the brainchild of Tony Skakily from Boston’s beloved The Beatings, and Mike Ingenthron from NYC’s equally-beloved Strikes Again! The project has taken legs and is now a full band these days. The good works of Get Help have been inked, recorded, edited and produced. I have a finished copy of this Avant Garde album and it's pretty damn amazing. You'll have to wait until you can buy this one. (It will be released on Midriff Records.) But you can attend the Get Help performance tonight (they are the 9pm openers - so don't be late) to check this amazing-ness out for yourself. Just know you have been warned about Get Help. Now, Prepare to be Entertained. The show was Awesome! Get Help is officially my new favorite band.